The Mercedes-Benz S-Class Facelift was recently unveiled at the Shanghai Motor show as the 2017 Mercedes-Benz S-Class. The car has received some cosmetic changes with with state-of-the-art technologies. Let’s have a look at all them starting with the exterior of the car. 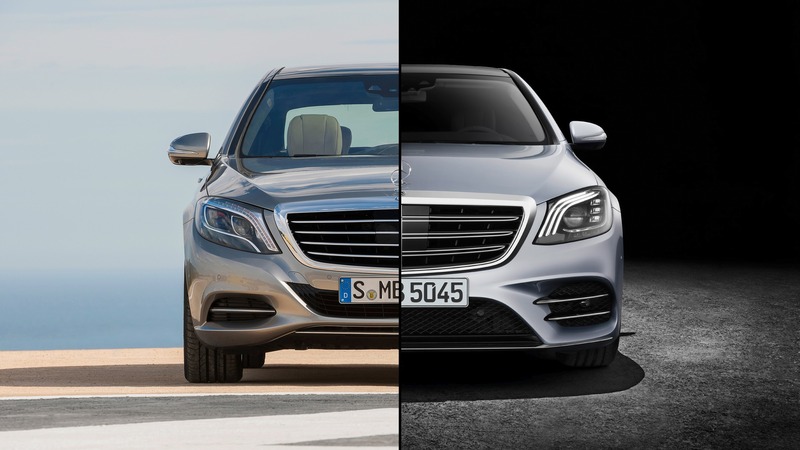 The exterior of Mercedes-Benz S-Class Facelift gets a redesigned bumper with new and larger grille. The intelligent LED adapt to speeds, conditions, as well as the oncoming traffic. The body has aerodynamically flowing line meeting at the rear with an arched roofline. Moving on to the engine..
Mercedes-Benz S-Class Facelift come with powerful engine of 3.0-litre V6 diesel engine producing power of 255bhp and a 3.0-litre petrol producing power of 330bhp. Both the diesel and petrol comes equipped with nine speed automatic transmission. Coming to the interior of the car, The Mercedes-Benz S-Class Facelift features Mercedes’ COMAND infotainment system with inbuilt 250GB hard disk. Display 12 inch TFT display , one behind the multifunction two spoke steering wheel and the second on the dashboard. it also gets a heated armrests, a high-quality Burmester music system, seven-coloured ambient LED light system and specialised air balance package which filters the air in the cabin that sprays a special scent branded by Mercedes-Benz themselves rear seats feature adjustable seats with hot stone massage system. The car will also provide Wi-FiThe heated and adjustable rear seats feature a Hot Stone Massage system. The car also features a Wi-Fi hotspot for internet access when on the move. So now that we have talked about the exterior, engine and the interior of the car, let’s see the competition it faces in the market with the other cars in the segment. Talking about the rivals of the car BMW 7 Series, Audi A8, Maserati Quattraporte and Bentley Continental Flying Spur stand as a strong competition.